Everybody in this world is writing their own histories; good or bad from the day they were born to the day they die. Most people have histories that are forgotten. For those who have greatness in them, like Mother Theresa, Bill Gates, Abraham Lincoln, Hitler (though it was a bad history he left), their histories are indelible and unforgotten. Like those with greatness, I believe I was put on this earth for a purpose and I never want my reputation or name to fade away along with my death. 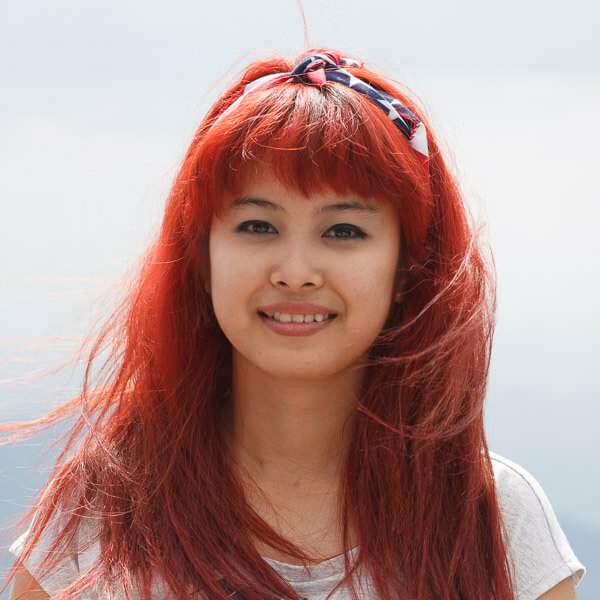 I am Sandy, and I just finished my first year at Payap University in Chiang Mai, Thailand. My dream is to become a successful businesswoman and play a significant role in creating a better future for my country. I passed my college matriculation exam in Yangon in 2011, but my parents were financially unstable, so my higher education became fully dependent on my grandmother who runs a small internet cafe. So I came to Thailand to live with my grandma so that I could go to college. Unfortunately, my grandmother’s business went through some tough times and I could not enter college, even after two years. So, I made a hard choice to go back to Myanmar to study. An unexpected problem arose however—government colleges in Myanmar do not allow delayed admission. As a result, I had to go to a private college and study business as my specialization. The private college’s high tuition fees became another obstacle in my education. Halfway through the first year, my grandma could no longer support me and my dreams were crushed. I was so depressed but I did not want to give up. My grandma promised that she would send me to a college in any way she could, and so I came back to Thailand. Then, a miracle occurred. I was able to enroll in Rangsit University in Bangkok. Being able to communicate with foreigners and study abroad, the days I spent in Rangsit were the happiest days of my life. I was finally able to take a step closer to my goal. But my grandma regretfully admitted that she couldn’t afford to pay for the tuition fees one week before the payment deadline. I had only been a week at Rangsit. I cannot recommend Sandy highly enough. 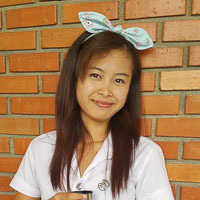 She is an exceptional student and her presence in our department and university make us all richer for the experience. The reality was harsh but I didn’t want to let my time and efforts go to waste. I was embarrassed, stressed, mad, sad, and depressed, but I wanted to try whatever I could and hold onto my dim hope. I inquired about all the available scholarships. Sadly, the scholarships I found were only open to non-business majors and one sponsorship required me to be baptized as a Christian. Although I started to worry about my unclear future, I couldn’t let go of my ambition in life. The path to success would not always be smooth. I encouraged myself to believe that I could graduate and achieve my goal no matter how far it seemed. After all, the number of years I have to wait and number of troubles I have to go through doesn’t matter as long as I reach my goal. My goal has always been to contribute all my abilities to my country’s development. After immersing myself in books related to business, politics, and personal development, my view on the world has changed. I realize that Myanmar needs more educated people in its long-term development process. However, there are problems with the current education system in Myanmar. There should not be discrimination in education, but there are so many students who are going through difficult times to get proper education because of financial problems. I came to the conclusion that I, who had an unpleasant path in education, must support a better education system and take a leading role to overcome Myanmar’s education crisis. After another year of waiting, I was finally able to take a firm grip onto my last string of hope as I got a chance to continue my college study at Payap University. To bring ultimate success to Myanmar was my biggest motivation to study, and I managed to get a high GPA in my first year. My hope began to grow again because I believed that if I could pursue a degree and become a supporter and mentor in an influential scholarship organization, my goal wasn’t that far away. But I need to finish my college first in order to take the first step in contributing my potential to the community. Yet, it would become another faraway dream without any funding from an organization due to my family’s financial condition. In conclusion, I am in need of financial aid to continue my second year at Payap. If I can get a loan and finish my studies, I can assure that all my efforts and skills will be invested in educational organizations efficiently to provide better opportunities for the younger generations and to increase access to a brighter future of my country. Written by Sandy with editing assistance from Sam, one of Zomia’s volunteer editors. Yahoo! I paid all my debt to Zomia already! Sandy has an extremely amiable personality and is popular among her classmates as she shows great consideration and deep respect for others.